Pick Analysis: Jefferson will not meet all NFL teams? size requirements for the safety position, but they overlook him at their own risk. The success of pro safeties with similar measurements like Jairus Byrd, Troy Polamalu, T.J. Ward, and Donte Whitner will undoubtedly help Oklahoma?s strong and athletic defender get his chance as an early selection at the next level. His lack of height obviously didn?t turn off major college programs from chasing Jefferson, a top-100 prospect out of California. It also didn?t keep him off the field for the Sooners in his first year on campus, as he started nine contests as an extra defensive back and earned the Big 12?s Defensive Freshman of the Year award with 65 tackles, seven for loss, seven pass break-ups and two interceptions ?- one which he returned for a 22-yard touchdown against Connecticut in the team?s Fiesta Bowl victory. Jefferson?s role only got bigger as a sophomore, as he started 12 games (played sparingly vs. Texas A&M with a right knee injury), making plays near the line against the run and as a blitzer (74 tackles, 7.5 for loss, 4.5 sacks) while also leading the team with four interceptions (three coming against Ball State). He was an honorable mention All-Big 12 pick (coaches, media) in 2011. In his junior season, Jefferson recorded 119 tackles, two interceptions, and three passes defended. He was named a second-team AP All-American for his efforts. Published: April 17, 2013 at 06:40 p.m.
A look at the college highlights of Oklahoma safety Tony Jefferson. 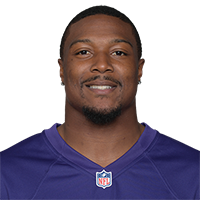 Published: Feb. 26, 2013 at 03:19 p.m.
Watch Oklahoma DB Tony Jefferson work out at the 2013 NFL Scouting Combine.